Here’s an epic list of 21 ugly sweater Christmas party ideas you won’t want to miss! If an ugly sweater Christmas party is part of your holiday plans this year, take note. 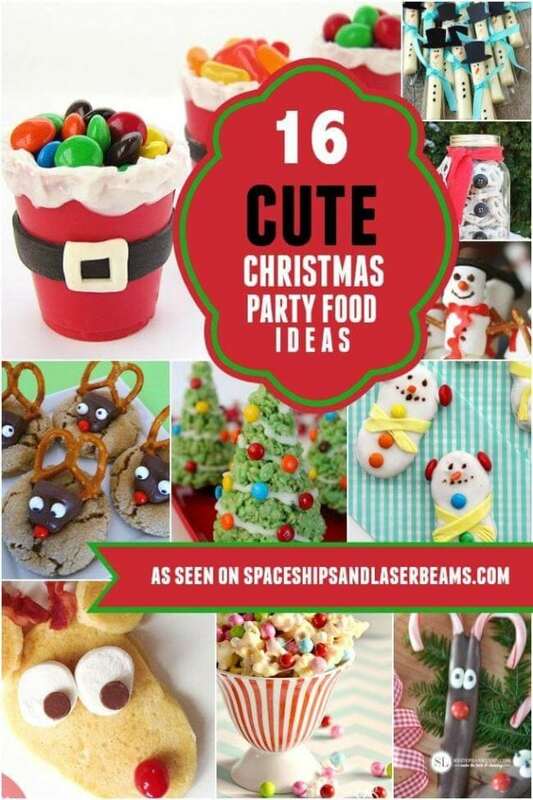 From ugly sweater Christmas party cakes, cupcakes and cookies to a DIY ugly sweater cozy, photo booth and party garland, this list has a little bit of everything to give you the warm fuzzies. Get inspired for ugly sweater Christmas party decorations, desserts and more! An ugly sweater Christmas cake is the perfect dessert to take with you to an ugly sweater Christmas party! You can use a boxed cake mix as a shortcut to create your cake. Homemade or canned frosting tinted to coordinate with Christmas can be used. A variety of Christmas colored candies (both wrapped and unwrapped) can make perfect ugly sweater embellishments! Invite guests to get their “ugly on” by hosting an ugly sweater Christmas party. Transform your party space to coordinate with this theme by combining traditional Christmas decorations with some tacky holiday accents. This ugly sweater Christmas party is full of inspiration including sweater inspired printables, a table banner made from mini ugly sweaters on hangers strung on twine, edible ugly sweater sugar cookies, and so many treats and snacks. Planning a Christmas party? Why not incorporate a trendy ugly sweater theme? You can easily host a trendy ugly sweater Christmas party by tying in the theme with these free printables. 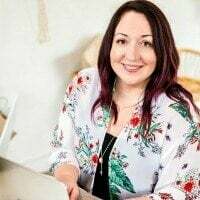 The printable collection includes so many festive items including: invitations, beverages wraps, banner, welcome sign, cupcake toppers, menu cards, and even ugly sweater awards. Guests will think it’s hilarious to dress in the ugliest sweater they can find and celebrate the holidays. Bring a smile to your ugly sweater Christmas party guests’ faces by serving up a batch of ugly sweater sugar cookies! You can go online for decorating inspiration by looking up photos of ugly Christmas sweaters. Or, pitch the idea to your favorite local cookie artist who can add their creative ideas to sweater shaped cookies. Guests will love taking selfies while dressed up in their tacky ugly Christmas sweaters and reliving the laughs long after your Christmas party is over. Create an ugly sweater Christmas party photo booth using wrapping paper, tinsel, and random Christmas décor. Buy or make photo props such as funny sayings like “naughty” and “nice” or “ho ho ho”. When it comes to styling an ugly sweater Christmas party dessert table, the uglier and tackier the décor, the better. Take style tips from this dessert table that boasts a variety of Christmas prints to create a backdrop straight from a Christmas nightmare. 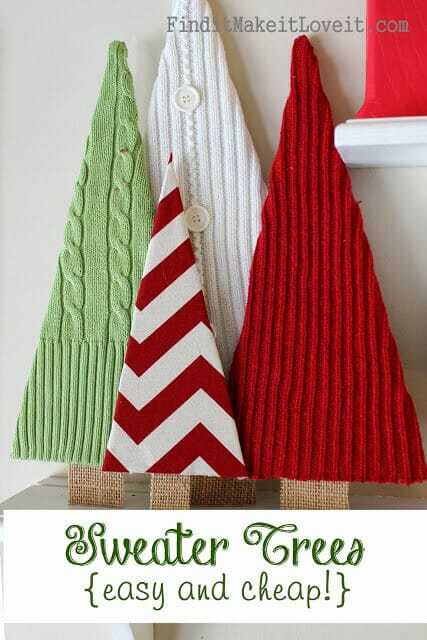 Add printed paper rosettes and Styrofoam cones, covered in cut up sweaters to look like Fair Isle trees. Throw in some themed desserts and some more sweater decorations to complete the look. It takes some creativity to decorate for an ugly sweater Christmas party. 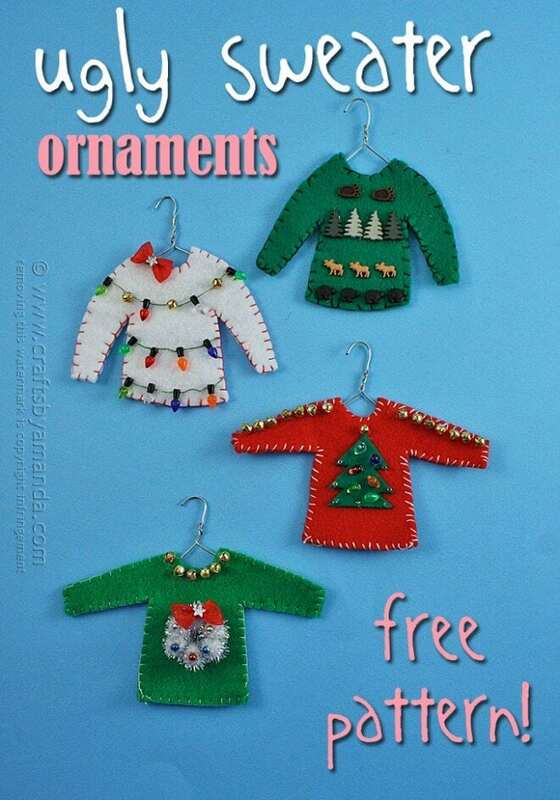 For example, you can DIY your own ugly sweater Christmas tree ornaments. You’ll just need paper clips (1 per sweater ornament) for creating “hangers”, cardstock, scissors, markers, fine tip markers, hot glue gun, and washi tape. You can deck out an entire Christmas tree and even send these home with each guests as party favors. Turn a plain rectangle cake into an ugly sweater Christmas party dessert masterpiece. Using fondant and edible embellishments you can create your very own ugly sweater Christmas cake. Get ready for it to be the talk of the dessert table. You’ll need 30 regular sized cupcakes to create this ugly sweater Christmas cupcake cake. Follow the instructions for laying the cupcakes out to create the shape of a sweater. Carefully remove each cupcake, frost, dip in sanding sugar, and replace to maintain the sweater shape. Once frosted, use mini marshmallows to embellish the “sweater” to achieve the look of fur on the collar, cuffs, and hem. Then decorate with colorful candy and frosting light strands. You’ve invited all of your friends over for an ugly sweater Christmas party. Now what?! It’s time to celebrate. Print out these free ugly sweater Christmas party awards and have guests vote on “the ugliest”, “the most colorful”, “the most likely to be found in your mom or grandma’s closet” and so on. Laughter is sure to ensue! Trying to come up with a fun decoration idea for your ugly sweater Christmas party? Why not decorate with sweaters? Hit your local thrift store and you can find sweaters in a variety of colors and textures. Cut them apart and wrap “presents” in the sweaters, adding ribbon as an embellishment. Coming up empty-handed when it comes to favor ideas for an ugly sweater themed Christmas party? Don’t dismay, this ugly sweater cozy not only makes a great party favor, but also a funny party activity. You’ll need to collect some old sweaters by raiding your closets and the local thrift stores. You’ll also want to collect some tacky Christmas tree decorations, Christmas buttons, notions, and embellishments. Let guests decorate their own ugly sweater cozy. If you’re attending an ugly sweater Christmas party this holiday season, we’ve found the perfect inexpensive, but creative gift to take to the hostess. Dress up your favorite bottle of wine (or substitute non-alcoholic sparkling cider) with a DIYable ugly Christmas sweater. You’ll need: a bottle of wine/cider, felt, thread, buttons, hot glue, a sewing machine, and some festive holiday notions (ribbon, pom poms, etc.). Have fun crafting the ugliest wine bottle holiday sweater! Is there a better way to wish your guests a Merry Christmas? Ha! Deck the halls for your ugly Christmas party space by crafting your own giant balloon Christmas lights and ornaments. This tutorial will walk you through the process of creating this genius holiday décor idea. You’ll be amazed at how easy the lights are to make using balloons with lights, cups, and curling ribbon or twine. There are so many fun ways to incorporate ugly sweaters into your Christmas party dessert table. Using mini sweaters to decorate the outside of push pop containers filled with red velvet cake is a genius idea. Check out these push pops for inspiration for your own ugly sweater Christmas party. Decorations for an ugly sweater Christmas party can be so much fun! This Christmas party garland is a free printable download and is designed to look like ugly Christmas sweaters. Simply print and cut out the sweater shapes and string up to decorate your party space. Take a peek at this ugly sweater dessert table for loads of Christmas party inspiration. The cake features Fair Isle inspired fondant embellishments that are reminiscent of the patterns seen on winter sweaters. Candy dish letters spell out “UGLY” and feature Christmas colored chocolate candies. Iced sugar cookies in the shape of sweaters with tacky royal icing Christmas embellishments are a perfect touch. Dipped macarons, rice cereal treats, cupcakes with printable sweater toppers, and jars filled with candy are just a few of the other ugly sweater inspired treats on display. How’s this for a cute ugly sweater Christmas party idea? Have ugly sweater sugar cookies designed that can be hung on a clothesline using twine and mini clothespins. What an adorable addition to a Christmas dessert table. Would you believe these bright and colorful sweater Christmas trees are an easy DIY using completely upcycled materials? They are! 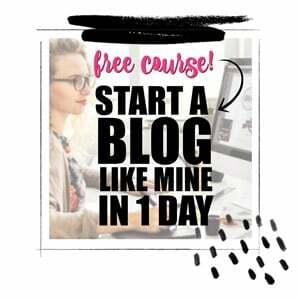 You’ll need scraps of burlap (for the trunk of the trees), cardboard boxes (for cutting tree shapes to cover), and leftover scraps of Christmas colored sweaters (you can raid your closets for old sweaters that you’ve outgrown, are out of style, or that have stains, tears, or holes). A few cuts and some dabs of hot glue later and you’ve got some adorable decorations perfect for an ugly Christmas sweater party.